Pok Pok Phat Thai is a tiny Thai restaurant in Manhattan by Chef Andy Ricker of Pok Pok fame (from Portland, Oregon and in Brooklyn). We knew about the long waits for the highly rated, no-reservation, authentic Thai meal at Pok Pok NY in Brooklyn and thought that eating at Pok Pok Phat Thai is an easy way to sample the Chef’s creations instead of braving the long lines at Pok Pok NY. Pok Pok Phat Thai does not take reservations either, but since we went for lunch on a week day, we were able to walk-in and seat ourselves. The food at Pok Pok Phat Thai left us wondering if we missed something that is so obviously good to others. Perhaps, we should give it another try? 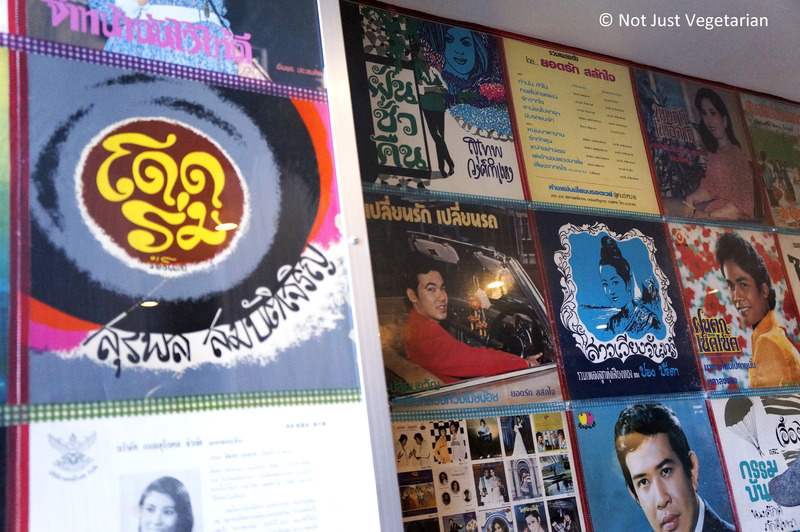 Pok Pok Phat Thai has Thai posters plastered all over the walls (reminds me very much of Bollywood posters in Indian restaurants). 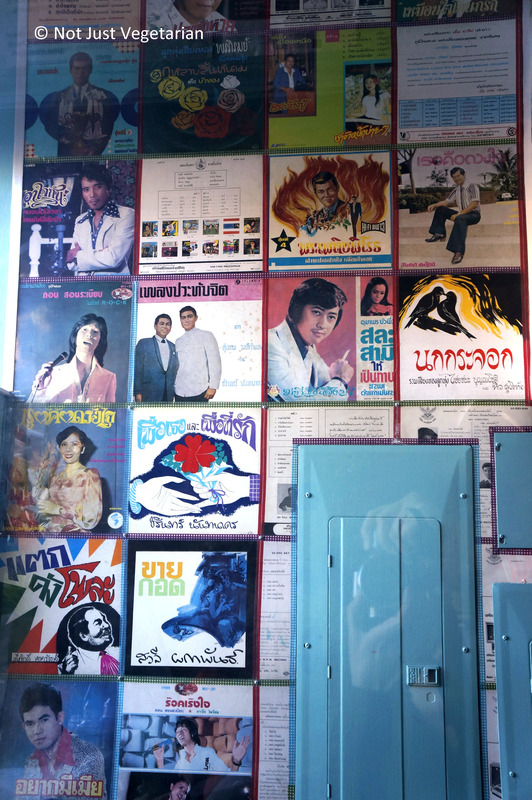 The posters evoke a feeling of eating at a tiny road side shack in Thailand. 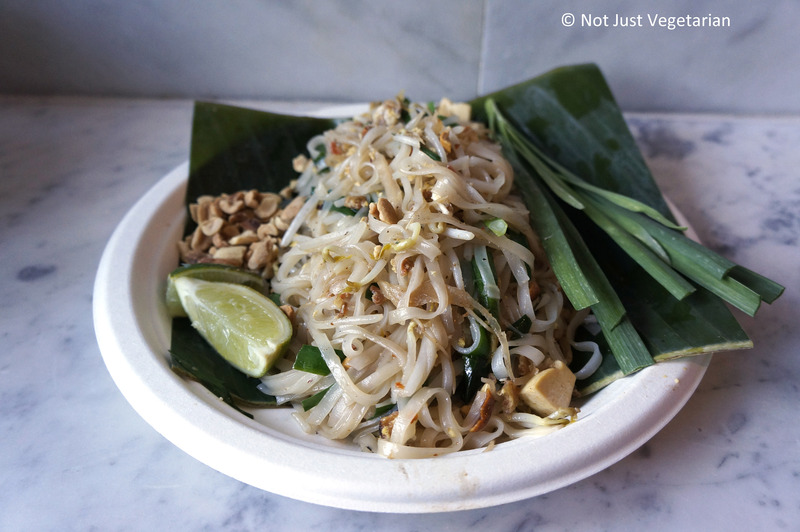 Pad Thai is street food, after all, isn’t it? If a restaurant does one thing (pad thai), it should be perfect – sweet, spicy and delicious (as this article states). 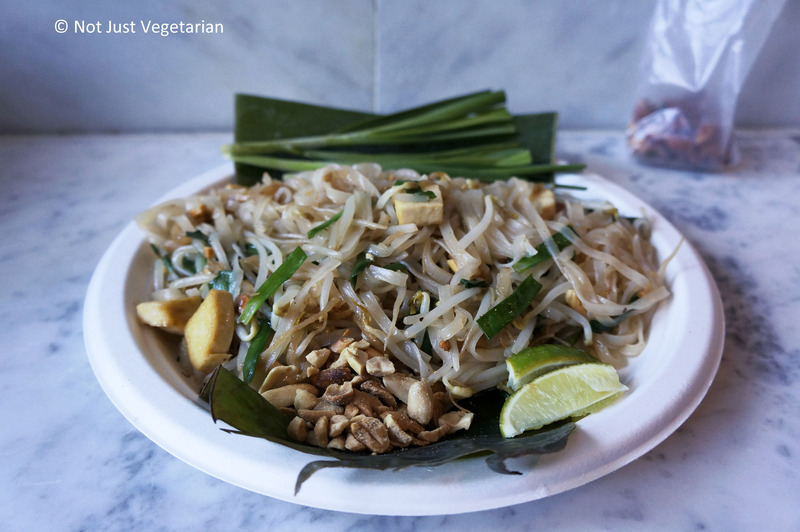 We tried the vegan (Phat Thai Jay) and the regular pad thai (Phat Thai Thamadaa) – they both look similar if you see the pictures below. The vegan one did not include fish sauce and was too sweet to be perfect. I could have added fish sauce to increase the salt content, but I wanted to keep the dish vegan that day. The tofu in the pad thai was too dry, chewy, and bland!!! The regular pad thai (with ground pork and fish sauce) was not particularly better on the salt content despite the fish sauce. The pork flavor overwhelmed the pad thai, and we completely missed the tamarind flavor in this one as well. 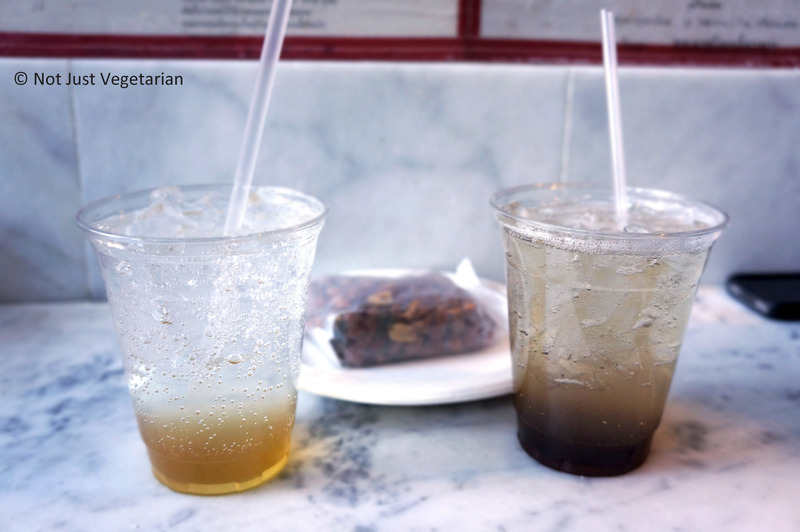 Now for the best item at Pok Pok Phat Thai – the drinking vinegar. The tamarind vinegar was delicious – sweet and tangy! (Honey vinegar not so). Did you know that vinegars are increasingly being used in cocktails in NYC? 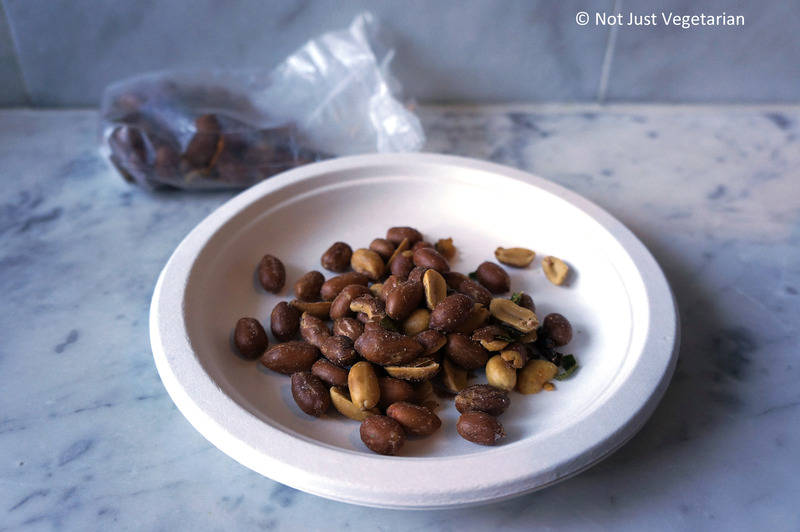 We tried the house roasted peanuts while we waited – quite spicy and salty, can’t say I am a fan of these.